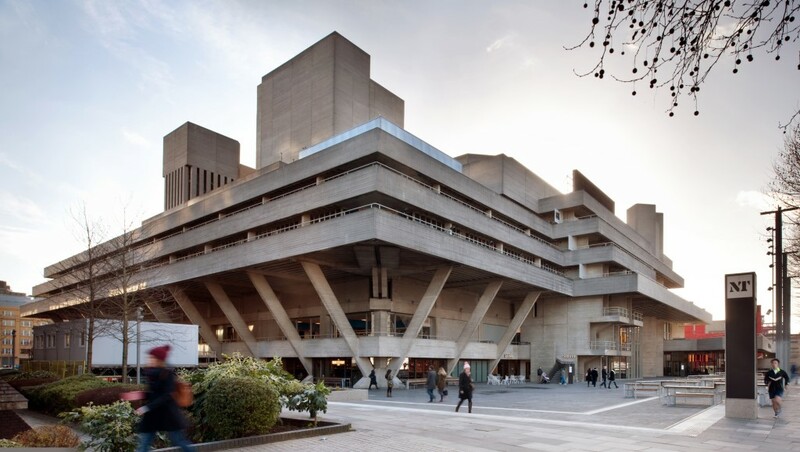 The aim of the Work Placement programme at the National Theatre is to create opportunities in theatre for as many people as possible, across a broad range of disciplines and departments. Work Placements at the NT are for people aged 18 and over, and are offered in a variety of different departments. From 2019, placements are open to over 18s studying at a UK educational institution (school, college, university) and those who have left an institution in the last year. If the department you are interested in is currently accepting applications for work placements please view the role out lines and use the question sheet provided to apply for the role. You are able to apply for more than one department but you must use a separate question sheet for each department. It is advised that you apply for a placement as far in advance as possible as popular departments receive a number of requests for placements and fill up spaces quickly. PLEASE NOTE: Placements will NOT be available in Acting, Directing, Producing, Casting or Set Design. The NT offers a number of paid internships through Creative Access, throughout the year. You can have a look at the Creative Access website for more details. The NT Archive is situated outside the main NT building on The Cut, next to the Old Vic Theatre. Volunteering opportunities vary in duration and are aimed at those with a strong interest and qualification in Archiving. Email the Archive Assistant (archive@nationaltheatre.org.uk) for more information and details on how to apply. The NT is not able to offer individual work experience to people under-18. Each department will have different times in which they are accepting applications, it is advised that you send in an application as far in advance as possible. It is advised that you apply up to six months in advance for speculative applications. All applications must be made using a question sheet; CVs alone are not permitted. We do endeavour to respond to all applications, however we do ask for your patience. If the department you are interested in is listed but not currently offering work placement please check back here soon as there are regular updates made to this page. We politely ask that you do not contact departments directly. The Costume department is made up of several departments which offer placements: Ladies Making, Running Wardrobe and Buying Department. Applicants should identify the discipline they would prefer to work in. As the nature of costume work is constantly varied, no guarantees can be given as to specific techniques or skills you will encounter at the time of the placement, but successful candidates will be able to gain an accurate view and experience a busy working Costume department. Applicants should be on year two or three of a relevant costume course or have graduated in the last 12 months; placements generally last up to two weeks. This department is not currently accepting new applications. The Digital Drawing Office makes use of Computer Aided Design technology to assist the design and production process. We offer 2 week placements for candidates interested in developing their skills in theatre set drawing and production. We offer placements to both recent graduates and career changers. Basic IT skills are essential and some understanding of either AutoCAD or Adobe Products is very helpful. Enterprises at the NT covers many of the Front of House departments in the organisation: Catering, Kitchens, Events, Retail, House Management, Tours, Facilities Management, Finance, and Human Resources. The HR Department helps the National create value through its people by developing long-term strategies for growth and development. The department deals with all staff-related matters including writing policies and procedures and communicating them to staff and managers, recruitment and selection, absence management, performance management, diversity and inclusion, pay and benefits, welfare, and training and development. They also deal with legal issues, help to shape the culture of the organisation and focus on what keeps staff productive and engaged. Placements last 1-2 weeks and are aimed at those with a strong interest in arts administration and an enthusiastic, proactive attitude. The department are currently advertising for an events placement in the learning programme across the build up to and delivery of February half term activities. Placements should be in second or third year of a relevant course in drama and theatre studies, applied drama or arts management, or have equivalent experience which could be from employment or training. The Lighting department is made up of Lighting Operational teams in the Olivier, Lyttelton and Dorfman theatres and supported by the Lighting Resources and Lighting Control teams. Placements last between 1-4 weeks and are usually focused around tech periods in the theatres. Applicants should be studying at degree level in year two or three of a relevant course or have equivalent experience. The Production department oversees the production management of all the shows at the National Theatre. Production placements last between 2-4 weeks to allow candidates the opportunity to experience the whole production process from start to finish. Applicants must be able to demonstrate a strong understanding of technical theatre and demonstrate an enthusiastic and proactive attitude. Successful candidates are usually on year two or three of a relevant degree course or have equivalent experience. Please note that a Production Management placement at the NT does not offer any Producing experience. We currently have a placement place available working on The River Stage Festival, read read the role outline for more information. Closing date for applications is 31st May 2019. Placements in the Props department last one to two weeks. Opportunities are offered in Prop Making and Prop Buying. Applicants for Prop Making placements should have demonstrable craft experience and include pictures of previous work in their application; applicants for Prop Buying should have some experience in either stage management or prop sourcing. Please ensure that pictures of your work are included in your application. Scenic Construction at the NT covers the Metal Workshop and Carpentry Workshop. Placements last between 2-3 weeks and are aimed at those who can demonstrate a strong desire to work in a scenic workshop or students on year two or three of a relevant course, or those who can demonstrate they have equivalent experience. This Department is full until October. Placements in the Scenic Studio last two weeks. Applicants should be on year two or three of a relevant course or have equivalent experience. Placements are now allocated until June 2019, we will reopen the application process soon. The Sound & Video department is made up of sound & video technicians for the Olivier, Lyttelton and Dorfman theatres, Video Specialists and the Sound Resources & Events department. Placements last between 2-6 weeks and are focused around tech periods in the theatres or specific events. Applicants should have some experience within a backstage or theatrical environment, be enthusiastic and interested in developing a career in sound and/or video; we also welcome those studying on a HE course in their second or third year. The Stage department is made up of the stage crews in the Olivier, Lyttelton and Dorfman theatres in the NT building. Placements last between 3-4 weeks and are usually focused around fit up and tech periods. Placements in the Wigs, Hair and Make-Up department last two weeks and are based almost entirely around wig dressing; a good understanding of wig dressing is required. Applicants need to be on year two or three of a relevant course or have equivalent experience.